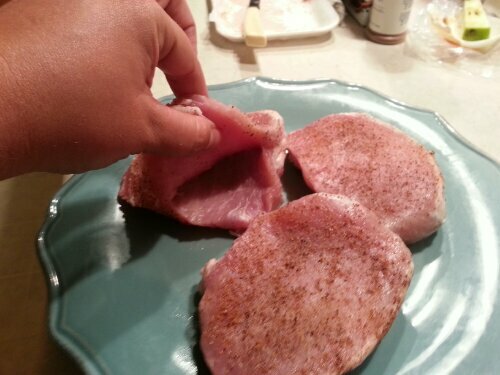 This is one of my absolute FAVORITE ways to fix pork chops. They take less than 30 minutes to make but will taste like you slaved in the kitchen for hours!! I got the recipe from none other than Taste of Home. 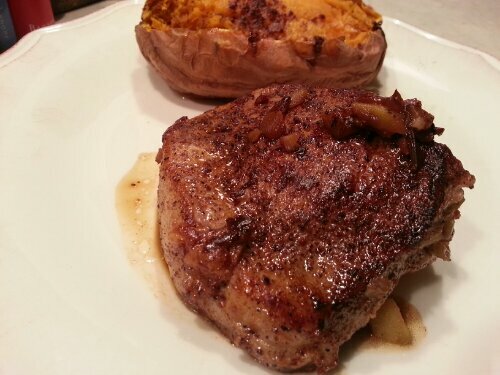 You’ll need some good 1/2 inch thick center cut pork chops, butter, an onion, seasoned salt, some brown sugar, honey BBQ sauce, worcestershire sauce, water and a little corn starch. 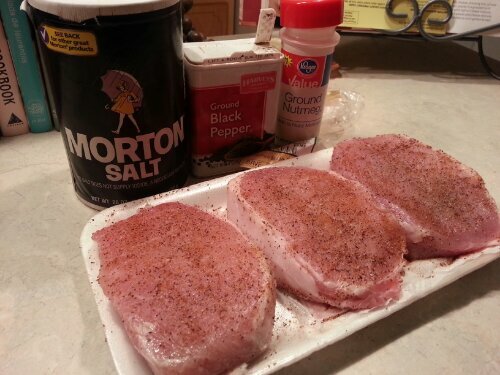 Season the pork chops with seasoned salt (I also like to add a little pepper because y’all I know I like things spicy) and brown them in a large skillet on each side. You don’t have to worry about cooking them all the way through, because you’ll let them simmer in the sauce later to finish cooking. Check out that caramelization action. Man alive!! 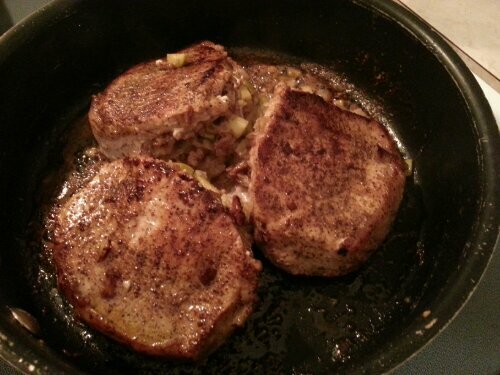 Once you’ve browned the chops, remove them from the skillet. 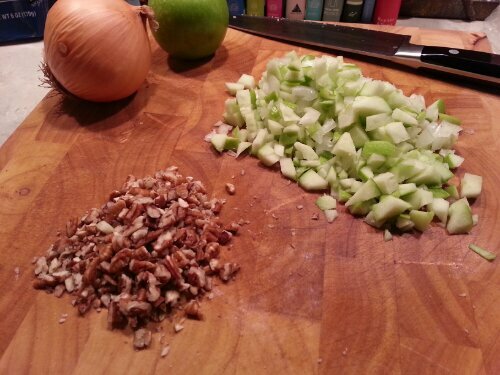 Then toss in your sliced onion. I love that sizzle when they hit the pan. 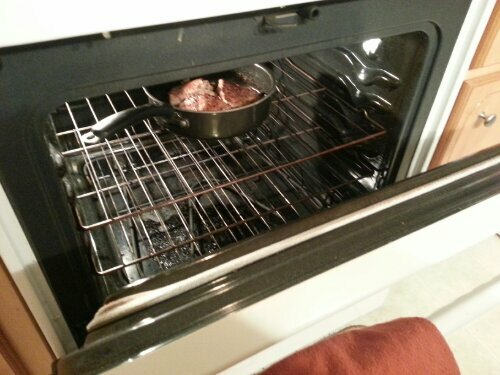 The kitchen starts smelling real good right about now. It’s important that you use the correct measuring cups for wet and dry ingredients. I didn’t always know this. Liquid goes in the glass measuring cup. Dry ingredients go in the individual measuring cups. 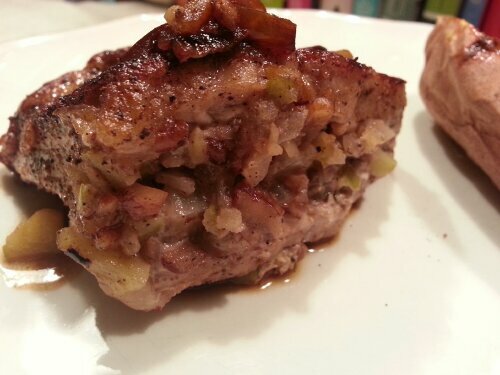 For the sauce, combine with the sautéed onion, 1 cup of Honey BBQ sauce, 1 tablespoon of worcestershire sauce, 1/2 cup of water and a 1/2 cup of brown sugar. Stir and let it come together for 2 minutes or so. 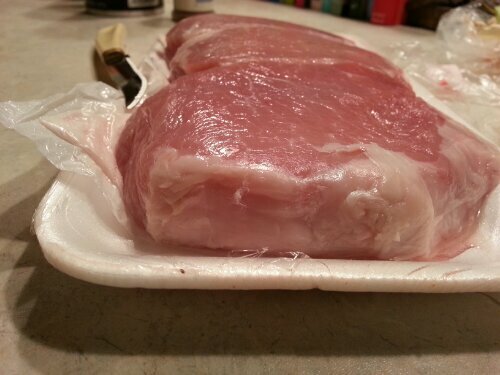 Then add your pork chops back in the pan. Cover and let simmer on low for 15 minutes. Meanwhile, combine 1 tablespoon of water with 2 teaspoons of cornstarch. Hold on to your boots when you take that lid off. You won’t be able to handle that smell. This is going to be Some Kinda Good y’all! 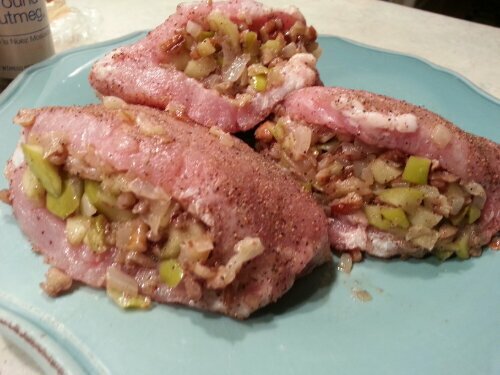 Remove the pork chops to a plate and keep warm. 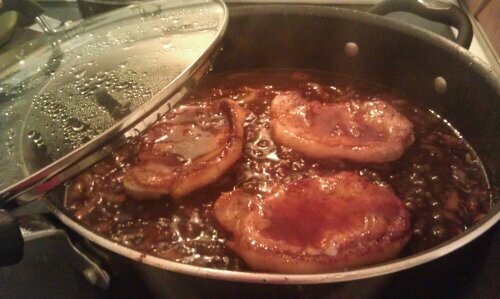 Pour the cornstarch and water mixture in with the sauce. 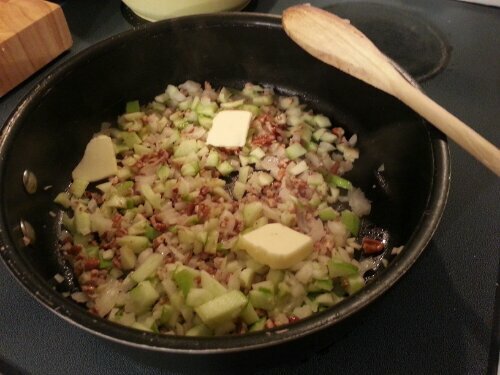 This is what helps it thicken and gives it that wonderful consistency. Stir together and simmer for 2 minutes. 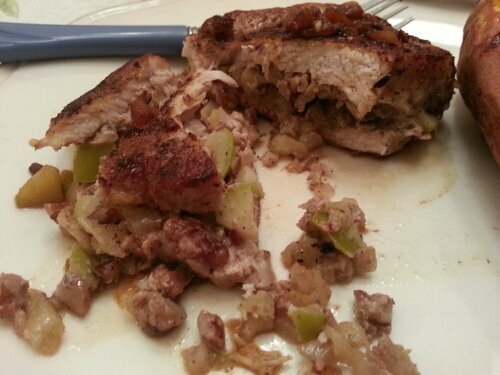 I served the Skillet Barbecued Pork Chops with a side of brown rice and almonds. Be sure to slather that pork chop good with the sauce.